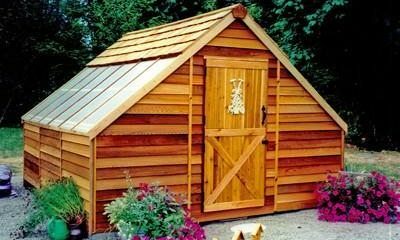 Picture yourself escaping to the tranquility of your very own garden getaway and completing this do-it-yourself project in one afternoon. 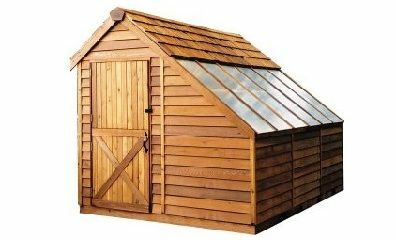 The Cedarshed SunHouse Greenhouse is made with the world’s finest natural outdoor wood – Western Red Cedar – known for its beauty, strength, durability, and aroma. 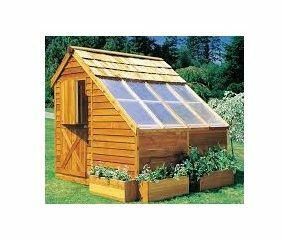 An attractive addition to any landscape, this structure is perfect as an art studio, private office, workshop, greenhouse, or garden getaway with plenty of room to store gardening tools and small equipment.